Mizkan, the brand behind Branston and Sarson’s, advises operators on how they can capitalise on them during the season. Christmas lunch is one of the most anticipated meals of the year for many people. The array of dishes caters for everyone, from the turkey and ham lovers to the cheese fiends among us – Christmas brings it all to the table. This year, as well as the traditional favourites, operators can pull in the crowds by embracing the latest trends to really resonate with consumers and make their menu stand out. All it takes is a few simple but delicious additions to the range using some quick and easy flavour hacks. Jenny Tran, Brand Manager for Branston Foodservice, offers her three top tips for operators looking to address the latest food trends this Christmas. There’s been an enormous upswing in the move towards a more flexitarian approach to food among the UK public. 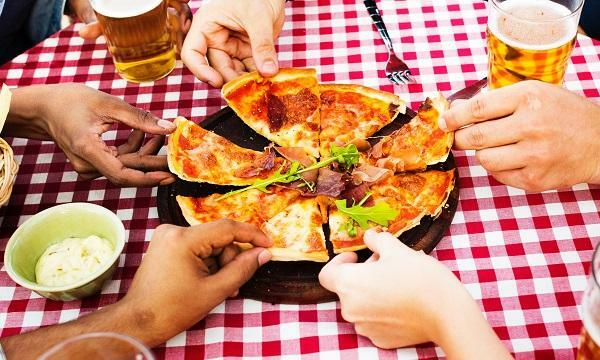 Operators can’t afford to ignore this increasingly visible trend, with ever more vegetarians and those looking to cut down their meat consumption arriving on the out-of-home scene – and all expecting to find a full range of options. The pressure is even higher at Christmas as consumers dine out numerous times with friends, family and colleagues, and these days, nobody expects to be left out. Some clever twists can make catering to all tastes easy. Think glazed sweet potato, brought to life with a brush of pickle, or a sea bass option cooked to perfection with a sauce built on Mediterranean tomato chutney. Operators looking to keep it traditional can also interest the veggie diner with sprouts cooked in caramelised onion chutney and root vegetables roasted with tomato and red pepper relish. Cheese is always one of the star performers at Christmas, satisfying most festive diners from the meat-eaters to the veggies. 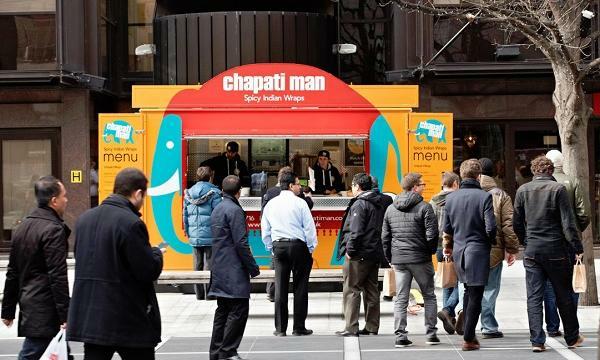 It’s also a lunchtime staple, catering for the increasing lunch market for out-of-home operators. Menus that get everyone talking will have a cheeseboard to remember, enhanced with a selection of pickles and chutneys, from caramelised onion to Dorset Ale and apple. Our Annual Cheese Survey revealed that pickle is in fact the nation’s first choice to accompany cheese, followed by crackers and then chutney. The lunch crowd is also becoming increasingly important at Christmas as time-poor customers look to cram in their socialising at any moment they can spare. There’s no better way to highlight the lunch occasion than with an array of cheeses that embrace the Christmas spirit and all the on-trend flavours, whether it’s part of a three-course meal or tucked in a take-away wrap. Christmas is the perfect time to mix up the traditional with something new, and the varied and delicious range of pickles and chutneys available make the ideal partner for the country’s festive favourites. New for this year, we’ve created a recipe for a Branston glaze using our Small Chunk Pickle to add a delicious twist to the classic Christmas gammon. Adding a dash of sweet honey to complement our tangy pickle and a handful of pink peppercorns for a subtle kick, the sticky glaze is the perfect match as part of a full Christmas meal, or a ‘leftovers’ sandwich. The addition of a great chutney or an exceptional pickle has the potential to elevate any dish during the festive season. Operators can capitalise on this theme and really have fun with their menu to ensure their Christmas goes off with a bang. The Christmas customer is a hard-won prize and operators need to pull out all the stops to attract that festive footfall. With some creative thinking and a few twists on old favourites, operators can stand out with a Christmas menu that not only offers traditional fare but also embraces the latest trends, with truly something for everyone. The views expressed in this column are the author's own and do not necessarily reflect this publication's view, and this article is not edited by QSRMedia UK. The author was not remunerated for this article.